A Cardiff man who was forced to rebuild his life from scratch after a skateboarding accident left him with a devastating brain injury as a teenager has been shortlisted for a national award. Jeff Mayle, 40 and from Splott, Cardiff, will be recognised at an annual awards ceremony organised by Headway – the brain injury association as one of just three finalists from across the UK in the running for the title of Alex Richardson Achiever of the Year. The nomination comes just weeks after Jeff discovered he has achieved his MSc university degree in Computing from the University of South Wales. Jeff was just 17 years old when he fell off his skateboard while racing with a friend and hit his head on a concrete pavement in August 1992. The teen’s father drove him to the Princess of Wales Hospital, in Bridgend, where he suffered an extra-dural haematoma (brain haemorrhage) while waiting for his x-rays. Thankfully, Jeff was rushed by ambulance to Morriston Hospital, where surgeons drained the clot in his brain and saved his life. After spending six weeks in a coma, Jeff finally began to show signs of improvement, though the ordeal left him with a life-changing traumatic brain injury. His earliest memory from regaining consciousness was the ambulance journey to Rookwood Rehabilitation Centre, in Cardiff, where he spent yet another six months relearning lost basic life skills. Before the accident, Jeff had been studying A-Level Maths, Chemistry and Physics at Llantwit Major Comprehensive with dreams of becoming a Chemical Engineer. While his friends returned to college for a new academic term however, Jeff struggled to process information and was forced to postpone his studies for one year. He received home schooling from a tutor who helped him relearn his previous studies in maths and chemistry, starting with the basic times-tables. When Jeff began a phased return to school, he struggled with the work and mobility problems meant he could no longer complete laboratory experiments. He dropped Chemistry and Physics and, having now mastered the basics, instead graduated with A-levels in Computing Studies and Maths. Jeff’s hard work in the face of adversity paid off as he was granted a place to study a HND in Software Engineering at the University of Glamorgan. 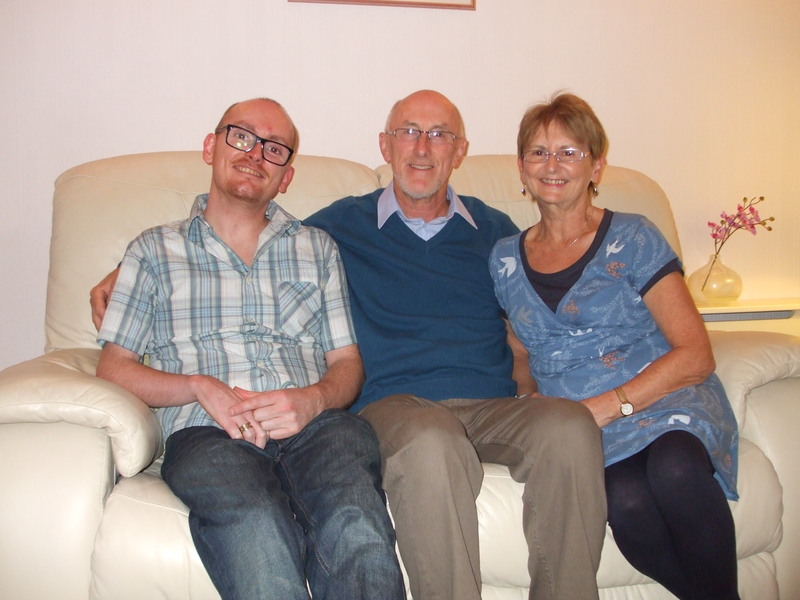 In 1993, Jeff’s mother set up a support group with brain injury charity, Headway Cardiff, to reach out to local carers and families affected by brain injury. After living away from home to work in Birmingham and later Chesterfield after his HND, Jeff returned to Cardiff and began volunteering and supporting members at the charity’s weekly sessions alongside working at the then-named University of Wales College Newport, in Caerlron. In 2005, Jeff’s outstanding contribution to supporting families in need of support after brain injury was recognised and he was named a trustee for Headway Cardiff. Even today, Jeff’s brain injury causes him to struggle with significantly impaired speech and weakness down the right-hand side of his body, which has resulted in poor mobility, particularly in the early stages of recovery. Despite these ongoing challenges, Jeff now works as an IT Engineer at the University of South Wales and, this summer, he was delighted to achieve his MSc in Computing. “I feel very proud to be shortlisted as a national finalist,” said Jeff. “My struggles after brain injury and particularly during the past three years while completing my degree have been more stressful than I anticipated! However, it is elating to know that I’ve finally achieved my graduation goal and being praised for my achievements with this nomination has lifted me even higher! “I still get tired and sleep everyday during my lunch-hour. Fatigue after brain injury may be something I shall always battle to overcome, but setting attainable life goals has proved a crucial rehabilitation tool throughout my recovery. “I’ve learned to aim high in whatever life goals you pursue – keep striving for small targets and you might surprise yourself! Jeff was nominated by Julie Smith, General Manager at Headway Cardiff. “Jeff’s determined, enthusiastic and ceaselessly positive nature in the face of adversity makes him great company and a real asset to Headway Cardiff,” said Julie. “Not only does Jeff hold down a full-time job while running a home, being a trustee at Headway Cardiff and a great friend to many vulnerable people – he does all of this exceptionally well while struggling himself with significant walking and speech difficulties. The Alex Richardson Achiever of the Year award, sponsored by Slater and Gordon law firm, is named after a University of St. Andrews student who tragically passed away following a brain injury at the tender age of 21. Alex’s family have since been invaluable supporters of Headway, dedicating their time to raise vital funds for brain injury survivors around the UK. Each year, Headway Annual Awards celebrates the exceptional efforts of survivors of brain injury and their carers. Jeff will discover if he is to be named Alex Richardson Achiever of the Year at a glittering ceremony at The Dorchester Hotel, in London, on Friday 11 December. Awards for Volunteer and Carer of the Year will also be presented, alongside the Stephen McAleese Outstanding Contribution to Headway Award.